This is the second lesson of which we are looking into the eternal for the purpose of answering a common question that has risen from generation to generation. The question is, “What happens to someone after death?” In the previous lesson we looked at the reality of Heaven and saw that God has established and promised life after death. We saw that the Bible teaches that life continues after the physical death of the body. God created man with a natural, temporal body and an eternal soul. The soul of man consists of who we really are. It is the center of our mind, will and emotions. We saw that the Bible teaches that life is eternal, because the soul is eternal, which means we will either spend eternity in Heaven or in Hell. Daniel 12:2 And many of those who sleep in the dust of the earth shall wake, some to everlasting life, some to shame and everlasting contempt. In this lesson we are going to be looking at what happens to the souls of those who choose to spend eternity in Hell and what that will be like for them. Although this subject is not the most edifying of subjects, every Christian should have an understanding of its truth. The Bible teaches in Hebrews 6 that we are to have an understanding of eternal judgment. We all need to have a healthy dose of the fear of God in this respect. This is what helps us to stay on the straight and the narrow. The word “destroy” in this setting means to literally give over to eternal misery. It is not talking about the death of the soul but rather giving the soul over to eternal misery. There are many questions in people’s minds concerning hell: Is it a real place, do all unsaved people go there, will it continue to exist forever, will people who are consigned there be tormented forever or will they be annihilated? 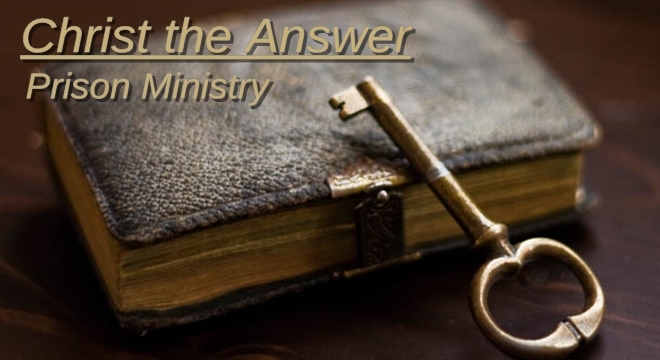 The only way to understand this subject and to answer these questions is to look to the Bible for the answers. II. THE ETERNAL STATE OF THE SOUL DESTINED FOR HELL. Before we go too far with this subject let’s deal with questions concerning the eternal state of the soul of the persons who are bound for Hell. Hell is the place or state of final punishment of the wicked. It is an actual place, as surely as heaven is. Many like to accept that heaven is a place while rejecting hell as a place. Just as God has a place of happiness for the redeemed who serve Him, so God has a place of punishment for the rebellious who serve the Devil. Jesus the perfect compassionate One, spoke more on hell than all other Bible writers, because He came to save men from it. 1. Do Some Souls Cease To Exist? There are some who believe that the souls of those who do not go to Heaven will be annihilated or cease to exist. The Bible clearly indicates that this is not so. The soul is eternal, and will spend eternity in Heaven or in Hell. The kind of worm that is spoken of here is the kind that preys upon dead bodies — this speaks of their punishment after death will never cease. It also symbolizes the loathsomeness of the penalty. Revelation 20:10,15 And the devil, who deceived them, was cast into the lake of fire and brimstone where the beast and the false prophet are. And they will be tormented day and night forever and ever… And anyone not found written in the Book of Life was cast into the lake of fire. Some people believe that the soul of man goes to an intermediate place between Heaven and Hell called purgatory. It is believed that in this place the soul goes through a fiery purging to make it pure enough to enter Heaven later on. There is no evidence of this in the Bible. Besides, we can only enter heaven through the righteousness of Jesus anyway. Our own righteousness will never be good enough. There is only one method for dealing with sins ever mentioned in the Bible. Hell is neither annihilation nor a place of temporary punishment. It is not a place of probation or a state of non-existence. An honest consideration of the Scriptures will show that hell is a place of eternal punishment. Hell is a self-chosen and self-inflicted curse, the inevitable outcome of sin. The Bible absolutely does not teach reincarnation anywhere. It teaches that it is appointed for men to die once, but after this the judgment. Hebrews 9:27 And as it is appointed for men to die once, but after this the judgment, so Christ was offered once to bear the sins of many. To those who eagerly wait for Him He will appear a second time, apart from sin, for salvation. Reincarnation teaches that when a person dies, his soul goes to live in a new body that is being born, and that this process repeats itself over and over again. This belief of Hinduism teaches that how we live our life determines the Karmic debt that we must pay off in the next life. The basic idea is that we are stuck on an endless wheel of life, death, and reincarnation until we improve our state through many thousands of lives. III. WHAT IS HELL GOING TO BE LIKE? The Bible has a lot to say about Hell. It is a place that the devil and demons inhabit. It is such an awful place to be, that Jesus said it would be better to cut off your hand or gouge out your eye rather than to go there. There is crying and total darkness in Hell. It is described as a lake made up of fire and brimstone. The fire in Hell cannot be put out and causes intense pain and agony. It is true that people can partially experience Hell on earth. Those who live in rebellion against God and His ways do experience to a small degree some of the things that those in Hell are suffering. This experience is however, only a slight foretaste of the miseries that the occupants of Hell experience forever. 1. Hell Will Be A Place Of Fire And Brimstone. Revelation 20:10 And the devil, who deceived them, was cast into the lake of fire and brimstone where the beast and the false prophet are. And they will be tormented day and night forever and ever. Revelation 20:14-15 Then Death and Hades were cast into the lake of fire. This is the second death. And anyone not found written in the Book of Life was cast into the lake of fire. 2. Hell Will Be A Fire That Is Never Quenched. It is a fire that shall never be quenched. It shall go on forever and ever. Mark 9:43 And if your hand makes you sin, cut it off. It is better for you to enter into life maimed, than having two hands, to go to hell, into the fire that shall never be quenched. Mark 9:45 And if your foot makes you sin, cut it off. It is better for you to enter life lame, than having two feet, to be cast into hell, into the fire that shall never be quenched. 3. Hell Will Be A Place Of Intense Torment, Pain & Weeping. Matthew 13:42 …and will cast them into the furnace of fire. There will be wailing and gnashing of teeth. Matthew 13:50 …and cast them into the furnace of fire. There will be wailing and gnashing of teeth. Luke 16:19-28 The parable of the rich man and Lazarus illustrates to us the intensity of the pain that will exist in Hell. The rich man speaks of being tormented in the flame and does not wish this place of torment upon anyone. Hell will be a place where it will be terrible torment to have lusts which cannot be satisfied and a conscience that torments past guilt and rejected grace. Revelation 14:9-11 This passage of scripture speaks of the torment that shall ascend forever and ever upon all those who follow the beast. 4. It Shall Be A Place Of Blackness & Darkness. Jude 1:13 …raging waves of the sea, foaming up their own shame; wandering stars for whom is reserved the blackness of darkness forever. As we have seen, Hell will be a terrible place separate from the presence of God, the rejected Lamb, the holy angels and the redeemed. No light, life, peace, joy righteousness, nor salvation, but only darkness and torment of conscience will be there for those who rejected and despised the grace of God. This is the Hell Jesus Christ died to save us from. The important thing to keep in mind is that Jesus did not come into the world to condemn it. The world was already condemned. Jesus came so that the world would be saved from this awful place of torment. John 3:17-19 “For God did not send His Son into the world to condemn the world, but that the world through Him might be saved. “He who believes in Him is not condemned; but he who does not believe is condemned already, because he has not believed in the name of the only begotten Son of God. “And this is the condemnation, that the light has come into the world, and men loved darkness rather than light, because their deeds were evil. 2 Peter 3:9-11 The Lord is not slack concerning His promise, as some count slackness, but is longsuffering toward us, not willing that any should perish but that all should come to repentance…. The Bible says the road to hell is wide and the road to heaven is narrow. Which road are you traveling on? Pray that you will be among the righteous and be a part of the new heaven and the new earth and not a part of the lake of fire and its torment. As long as you continue to follow Jesus your place in heaven is assured.